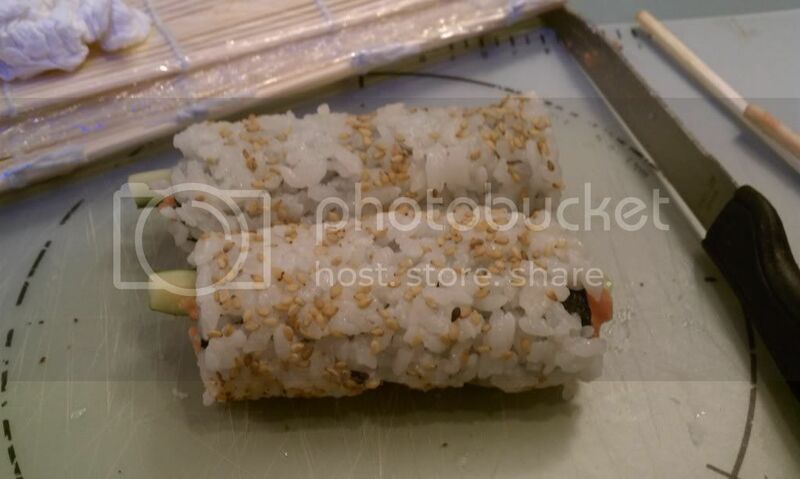 We were blessed with the opportunity to learn how to make sushi recently! It was a class called Just Roll It! given by I Wish Lessons; we had a Groupon. The teacher was good, and it was really fun to learn how to make food that we both enjoy greatly but have never made. The results were not always pretty, but they were all delicious.